Sony has agreed to buy Ericsson's 50 percent share in their Sony Ericsson mobile phone joint venture for $1.5 billion, making the mobile handset business a wholly owned subsidiary of Sony. Ericsson said that the "synergies" between telecoms equipment and mobile phones were decreasing. Many industry observers expected this deal to happen as Sony looks to integrate the smartphone business with its gaming and tablet offerings. "Ten years ago when we formed the joint venture, thereby combining Sony's consumer products knowledge with Ericsson's telecommunication technology expertise, it was a perfect match to drive the development of feature phones. Today we take an equally logical step as Sony acquires our stake in Sony Ericsson and makes it a part of its broad range of consumer devices. We will now enhance our focus on enabling connectivity for all devices, using our R&D and industry leading patent portfolio to realize a truly connected world," commented Hans Vestberg, president and CEO of Ericsson in a statement released today. As part of the purchase, Sony will receive five sets of patents that are essential to manufacturing the phones and will receive a licensing agreement on any other intellectual property of Ericsson. 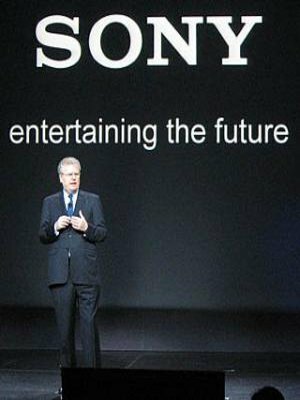 "This acquisition makes sense for Sony and Ericsson, and it will make the difference for consumers, who want to connect with content wherever they are, whenever they want," said Sony's chairman Sir Howard Stringer. He added, "it's the beginning of something which I think is quite magical." The merging of its mobile divisions will put the company in a better position to compete with rivals such as Samsung and Apple, although industry insiders are sceptical the Japanese giant is capable of such heights. With nearly half of all Samsung's profits coming from its telecommunications devices, it will certainly feed the desire for Sony to make big waves as it pushes its phone brand forward. Sony recently recalled 1.6-million Bravia HDTV's after several reported incidents involving selected 40" models were found to have a fire risk, including one that burst into flames in Japan last month due to a faulty backlight component. This has done little to help the firm in its attempts to rebuild its massively damaged reputation following a spate of online attacks affecting millions of its services' users this year.